The state of Maryland established a new standard for worker protection and asbestos abatement, promising stiffer fines and longer jail sentences for business owners who violate environmental laws. In addition to the federal asbestos removal regulations that are backed by their own penalties, Maryland has added a new asbestos worker protection law at the state level that should lead to stronger enforcement and more outreach. Contractors in Maryland caught violating asbestos laws now can be fined up to $25,000 — five times the previous amount — for each offense, or up to two years in state prison. Any fines collected will be paid directly into the Asbestos Worker Protection Fund. The new law, which began as House Bill 1262, was hailed by leaders of the Laborers’ International Union of North America (LIUNA), which has called for other states to follow the lead of Maryland. The new law stems from a union report in 2011 that detailed unregulated asbestos work practices at six different sites that included non-union contractors and dozens of abatement violations. It was a year-long compilation of testimonials by workers in the industry. Companies with union labor had complained that they were losing jobs to other contractors using non-union labor and not following proper asbestos regulations, endangering both workers and the general public. It also followed testimony at the state capital from various union leaders and asbestos workers. The law was co-sponsored by Sen. Victor R. Ramirez (D-Prince George’s County), and Del. Tom Hucker (D-Montgomery County). Asbestos abatement is often an expensive and detailed part of the demolition or remodeling of older construction. It involves the removal, or just the containing, of asbestos. An exposure to asbestos can cause mesothelioma, an aggressive cancer, and a variety of other respiratory illnesses. 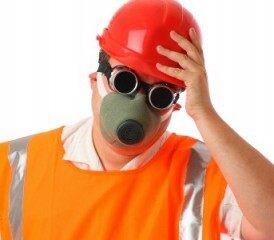 Asbestos abatement usually requires special respiratory equipment for workers and specific procedures to reduce the chance of the fibers becoming airborne. It also requires workers to be specially trained. It requires oversight by a licensed professional. Rathner, J. (2012, June). Maryland Leads Nation With Asbestos Worker Protection Law.